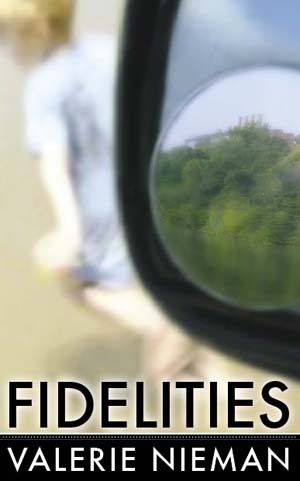 Fidelities is Valerie Nieman's first collection of short stories. The stories in Fidelities, which are mostly set in West Virginia, are both heartrending and beautiful. Valerie Nieman attended Jamestown Community College in her hometown in western New York for only a year before enrolling at West Virginia University where she completed a BS in journalism. After graduation she stayed in her adopted state working as a full-time journalist while pursuing her own writing career. After leaving her imprint on West Virginia, Nieman became the Rockingham County editor of the North Carolina Greensboro News & Record. Nieman published her first novel, Neena Gathering, a post-apocalyptic science fiction novel, in 1988. She has also published two poetry chapbooks, Slipping out of Old Eve and How We Live. Her second fictional work, Survivors, was published in 2000. She has also published two poetry chapbooks, Slipping out of Old Eve and How We Live, and a full-length poetry collection, Wake Wake Wake. Her second novel, Survivors, was published in 2000. Her third novel, Blood Clay, will be published in March by Press 53. Her poetry has appeared recently in the Southern Poetry Review, Connotations Press: An Online Artifact, Still, North Carolina Literary Review, ABZ, and Crab Creek Review. Her short story "Worth" appeared in the 2010 anthology Degrees of Elevation: Short Stories of Contemporary Appalachia. "Nieman's creation of each character and her evocation of time and place are unique... [her characters] are so real that I feel I know them all." "No matter where you open Fidelities. . . it's full of intriguing people [and] interesting puzzles that leave the reader wondering about their complexities long after reading it."